Our daily capacity for print on demand mugs is unrivaled. We print, pack and ship thousands of mugs each day. 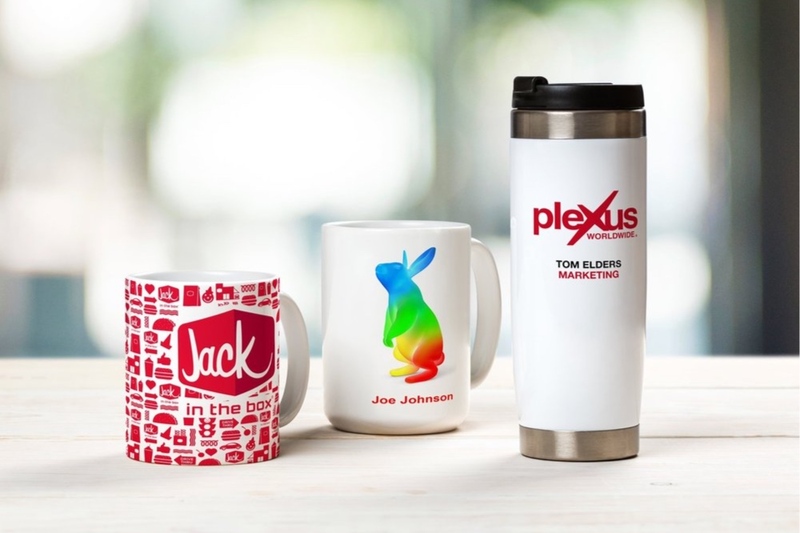 Our extensive line of mugs, tumblers and water bottles gives you a wide selection of products to meet your business need. Each mug can be completely custom and printed in vibrant full color. This product line is perfect for business promotion, photo gifting, custom personalized designs and beautiful print on demand designs.